Focus on Experiences over Possessions. Anything added dilutes everything else. Go anywhere. Do anything. Bring all of your gear, your bed, your kitchen & office. 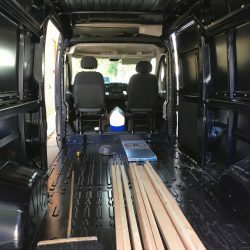 Van Life can save upwards of 50% of your ordinary carbon footprint, compared to living in a typical home. No need to stay in hotel rooms, paid camping sites, and eat in restaurants when you're traveling. If you've got questions about converting your Ram ProMaster, you're in the right place.